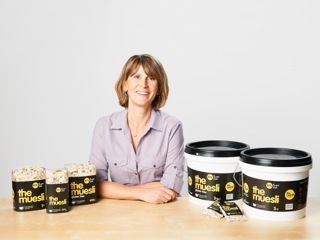 Managing Director and owner of The Muesli, Emma Dumas is a crusader on an anti-sugar campaign. And not just to promote her breakfast cereal. She firmly believes SUGAR is the root of all nutritional evil. After interviewing Emma, I’m pretty much convinced too, so now the Muffin Top journey has ended, I’m going to try another experiment. I’m going to add another test of willpower to my list of New Year’s Resolutions. But more about that later. Let’s chat with Emma first. This is the third in my series of interviews, under the banner ‘Inspirational Life Changes.’ It’s about people who successfully change careers at some point in their lives and turn to a job that’s quite different, requiring new challenges and skills. With people living longer, it’s a much more common choice, so it’s wonderful to learn from others who have been brave enough to take a leap of faith into another area of expertise and make it work. Their experience can teach and inspire us. Working in Special Projects meant Emma was involved in the production of major live events, like Carols by Candlelight, the Logie Awards and the Arias. It’s a job requiring super organisational skills, not to mention a good dose of persuasiveness when trying to convince stars to appear on shows. Emma then produced several highly acclaimed programs with her own company, Prime Time productions with another partner from Nine. 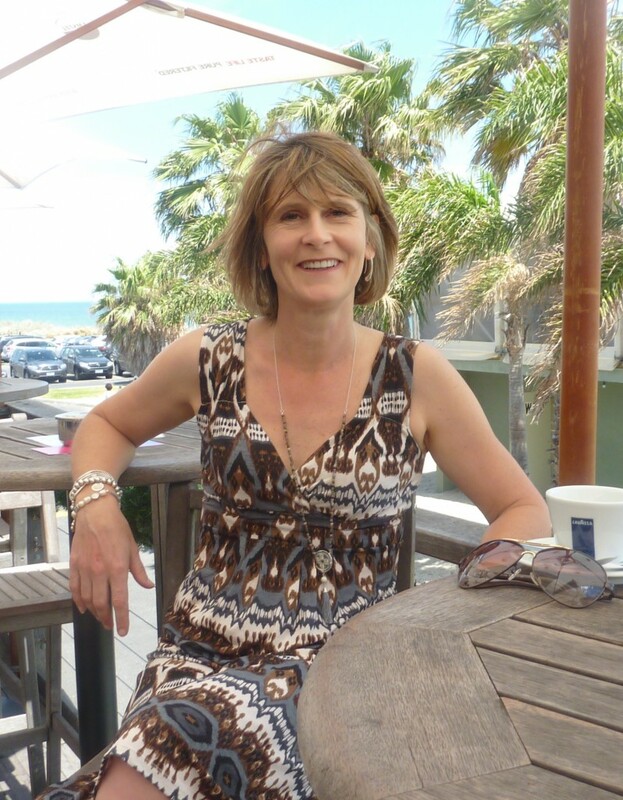 It was about that time that Emma’s good friend Donna Aston, (personal trainer for the stars and registered nutritionist) who she’d worked and trained with, sparked an idea. ‘She was saying to me, “My clients are doing my head in. They cannot get their heads around breakfast and get it right.” I’d written recipes for her over the years for several books so I said, ‘Oh don’t worry about it. I’ll prepare something.’ So I mixed up this concoction and started making The Muesli.’ Emma said, smiling. When working on the marketing strategy, Emma’s passion for the anti-sugar campaign grew. ‘We use a 99 per cent sugar-free slogan as part of the logo and the sugar thing kept resonating with me. I knew from research just how busy the marketplace was, so I knew there wasn’t any point putting just another muesli onto the shelves, among the dozens that are there already. I realised that the sugar thing was big. I also simultaneously became aware of David Gillespie who has written the book ‘Sweet Poison’ and he is brilliant. Everything he says, I absolutely subscribe to,’ she said, her voice becoming more emphatic. FRUCTOSE is the ‘natural’ sugar everyone talks about. Before you read the next part of the interview, take a look at this picture. 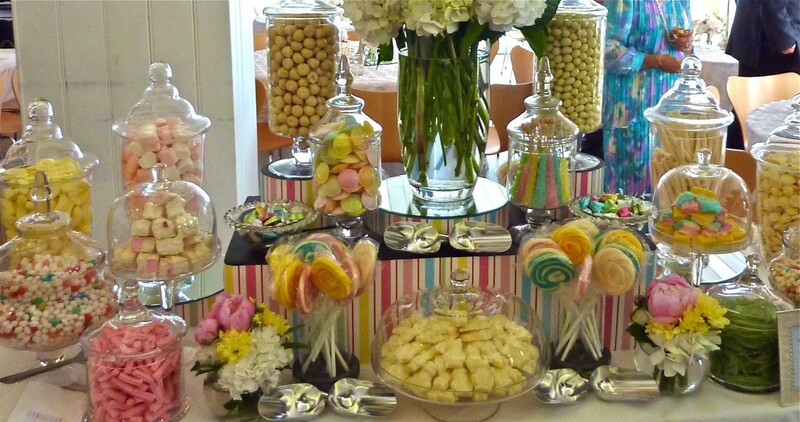 A banquet of lollies to choose from that most people would find hard to resist… Is your mouth watering yet? Now read on. Jen: And do you have a strict diet yourself? Emma: I do. I lost about nine kilos in 2005 with Donna when I first began this. And I’ve kept it off. I basically cut out all processed foods – anything white – bread, potato and sugar. But I was never a massive sweet tooth. I’d eat a bowl of chips before chocolate. Jen: How long since you’ve had a pig out on lollies? Emma: Well, I used to eat dark chocolate, and I loved that but then I realised even that has too much sugar for what I want to do. I have to take this seriously, so sugar is the thing I completely restrict so it’s been a long, long time since I’ve had a lolly. Emma, Oh no! It would be since 2005. There was a long pause, as I sat there stunned. How could ANYONE not eat ONE lolly for SEVEN years??? I mean, revisit that photo above. How could anyone say NO to that? But it’s a good thing, right? So how has Emma managed this – what is her SECRET to such amazing self-discipline? I have a VERY important question that’s bothering me. I can cope with vetting the products I buy at the supermarket. I might even be able to cope with cutting out lollies. 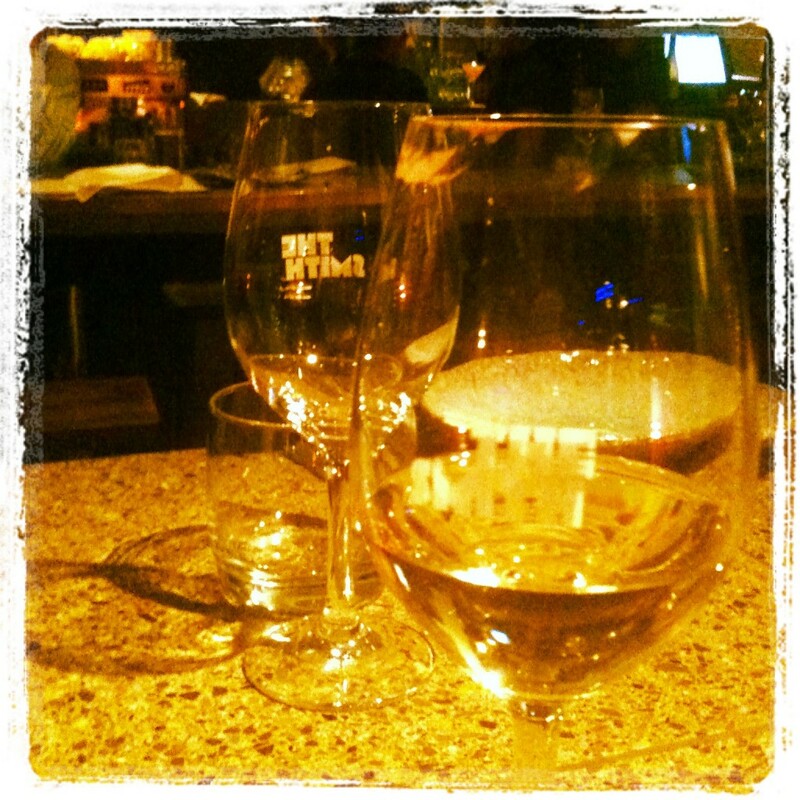 Wine is better for us than apple juice! YAYYYYYYYY. That’s the best news I’ve had all week. More wine, less apple juice. And what about fruit? Emma says one piece of fruit a day is fine. For breakfast though, NO jams or honey on toast. Choose vegemite or avocado instead. Better still, stock up on The Muesli!! So that’s the challenge I’m going to set myself in the New Year. I’m going to add THE ONE LINE RULE to my resolutions list and see how long I can stick with it. Along the way, I’ll give you tips on which foods to avoid and which ones get a big tick. Emma says while she misses the people and personalities she worked with in the television industry, she’s loving her running her own business with Heather. 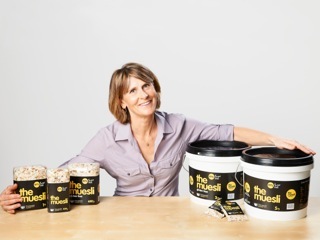 They’re extending their range of The Muesli to include a gluten free variety and even have plans to go international. 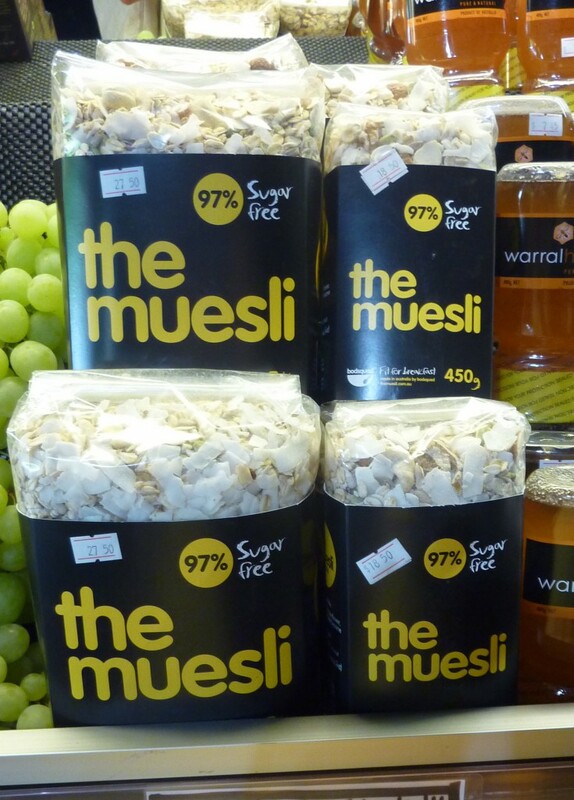 If you’d like to try The Muesli, here’s a SPECIAL OFFER. If you subscribe to this Blog (and it’s free, so just push the right buttons and you can do it in a minute) then just be one of the first TEN readers to email Emma, and she will send you a FREE 450g pack of The Muesli.